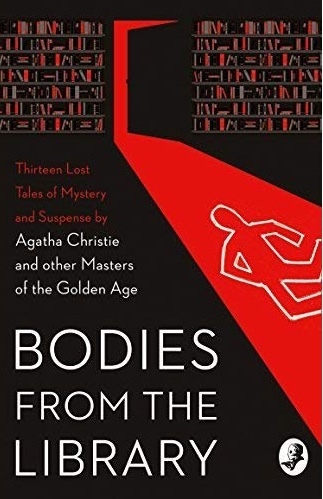 Bodies From The Library selected and introduced by Tony Medawar, mystery, subtitled Lost Tales of Mystery and Suspense by Agatha Christie and other Masters of the Golden Age, Collins Crime Club 2018 hardcover. Stories from the Golden Age. Sixteen forgotten tales which have either been published only once before – perhaps in a newspaper or rare magazine – or have never before appeared in print. These stories are almost all really good, and I was very glad to have bought the book. I had some particular favorites, and I’m sure you, if you are a fan of golden age stories, will too. But I won’t say a lot more because EVERYTHING you need to know about this book is in the very fine post on the Cross Examining Crime blog post HERE. I couldn’t do a better job of describing the book or stories. Go there! Read it! This entry was posted in Books & Reading, current reading, Friday Forgotten Books. Bookmark the permalink. Just reread Blood Meridian by Cormac McCarthy. It is my top ten favorites. Read The Elephant of Surprise, a Hap and Leonard by Joe Lansdale. Not one of the better books in the series. Now reading The Avenue of giants, a French novel by Marc Dugain, based on California serial killer Edward Kemper. I haven’t had good luck with French authors, for some reason. Hap and Leonard always good. I have been thinking about buying this book of short stories, I just have so many already (unread). but it does sound like they are good stories. Thanks for the mention and glad you enjoyed this book as well. Who would you say are your favourite golden age authors? That’s the kind of question that makes me think…and change my mind dozens of times. For me it all started with Christie, so she’s a strong contender. I also like Allingham. Sayers, but only the Lord Peter short stories and a couple of the earlier novels like Nine Taylors. Biggers’ Chan novels (but not the films!). The list is long. Nice collection! I have read stories by every one of the authors in it, though obviously not this collection. I see Amazon has the hardback for $16.99 and the Kindle edition for $9.99. In addition, there is a BODY IN THE LIBRARY 2 (same prices). As much as I enjoyed this one, I probably won’t get #2. All the famous mystery writers from that era are included. I’m ordering it now! And, I’ll check out BODY IN THE LIBRARY 2. I might buy that one, too. Knowing your (and Jeff’s) appetite for short stories, you’ll enjoy this. Sounds good, Richard. Gotta get me a copy.